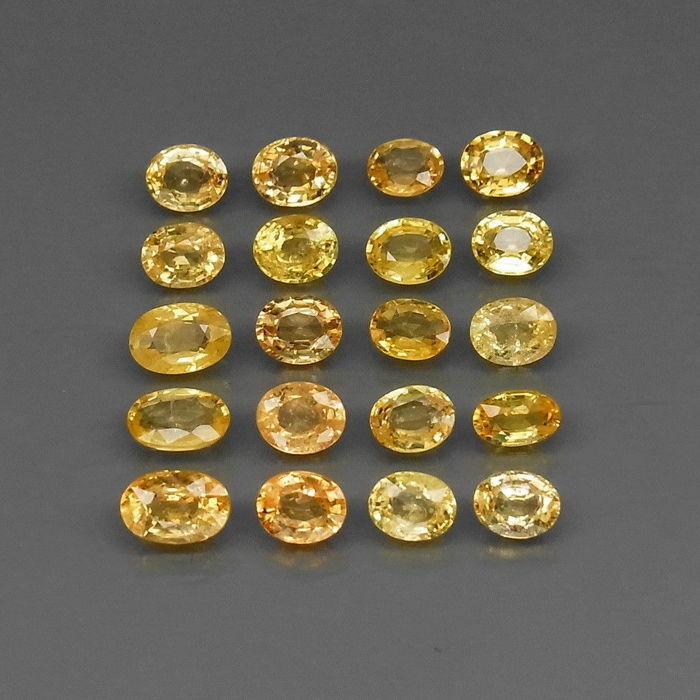 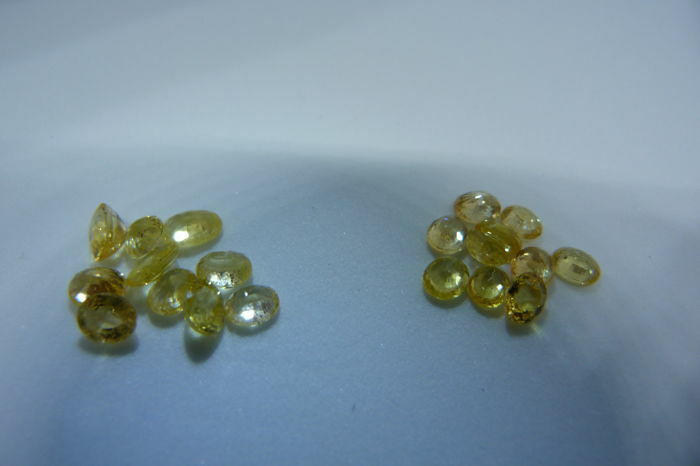 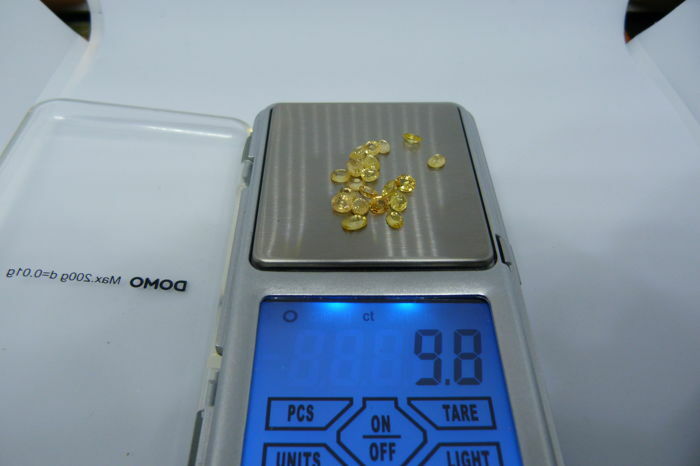 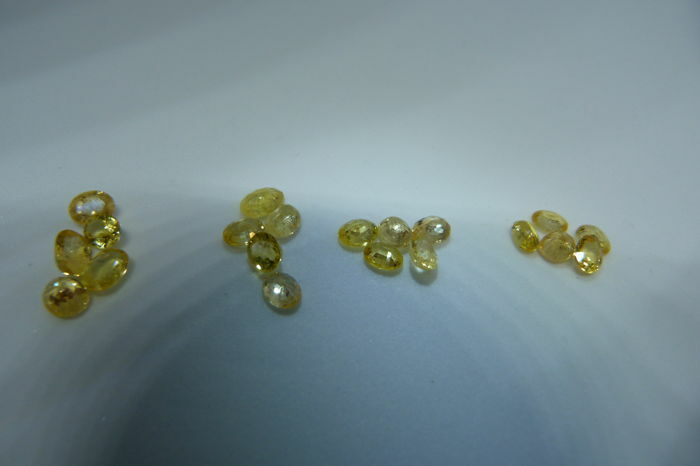 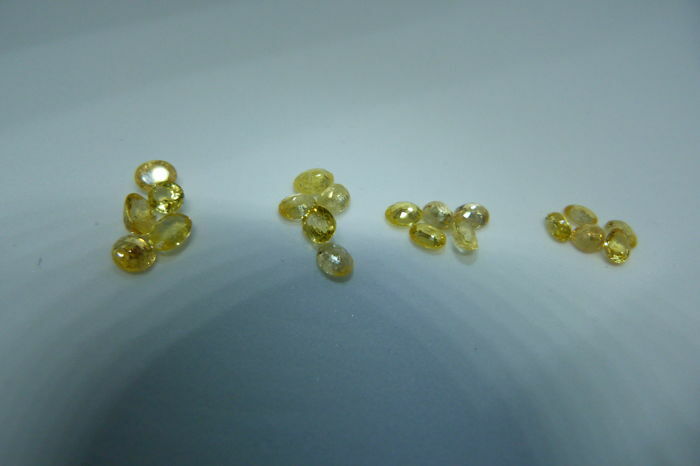 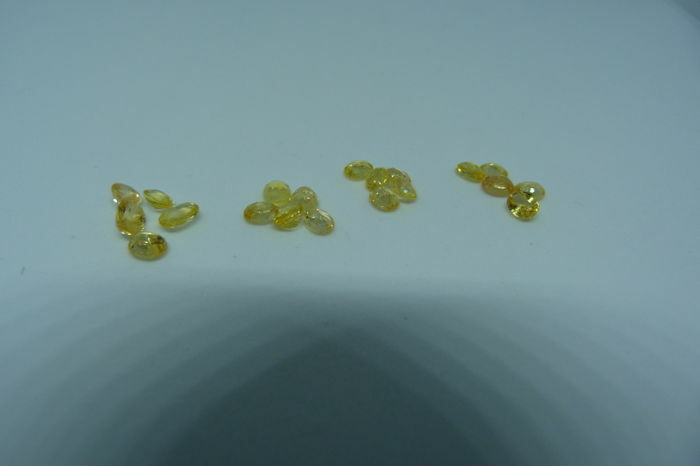 Treatment: Despite the guarantee that these stones have only been heated, it should be considered that a lot of yellow, orange and padparadscha sapphires have been treated with beryllium. 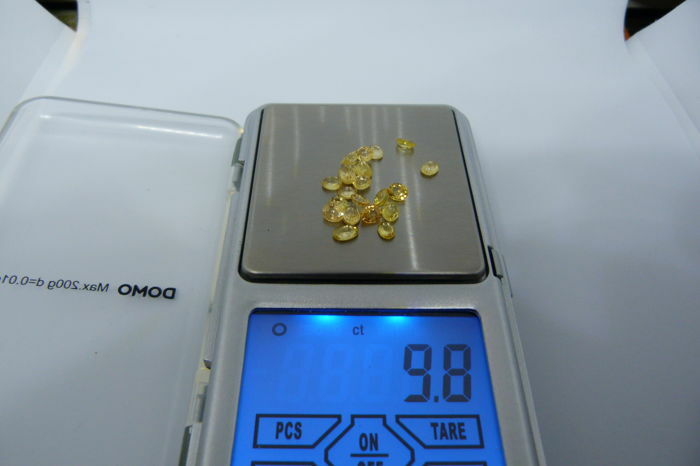 It is difficult and uneconomical to detect this kind of treatment on small stones. 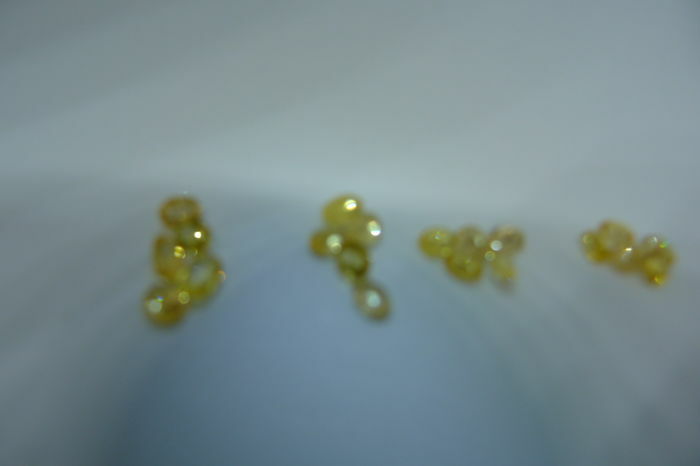 For your information, the "beryllium diffusion treatment" of the last few years has nothing to do with the old method from the 70s. 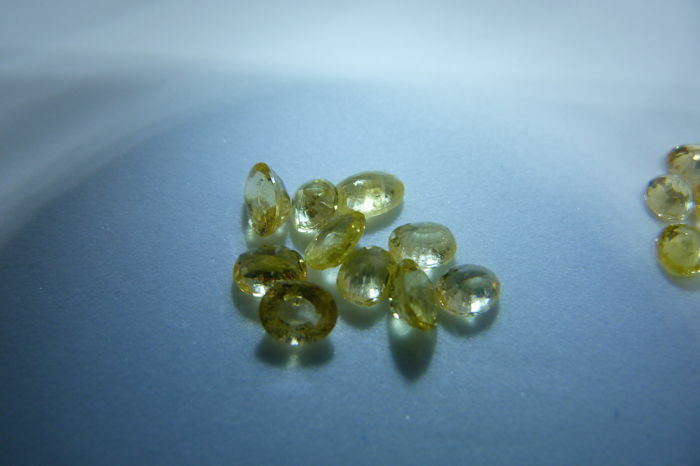 Nowadays the treatment is carried out deep inside the stone. 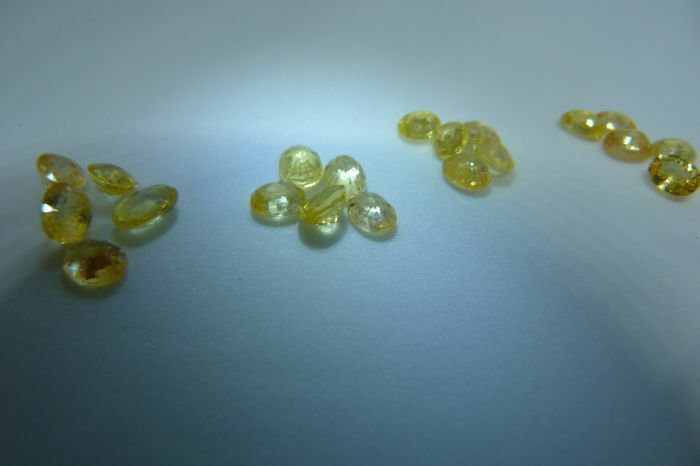 The treated stone can be cut again without problems; in the 70s the stone was treated on its surface and thus if the stone was cut anew the colour would disappear. 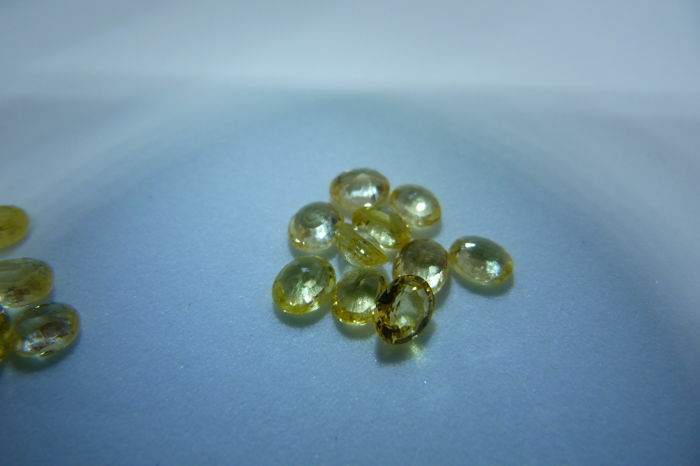 You can pick up this lot from the seller: Oignies (), France.